All of our Dentists, Orthodontists and Oral Surgeons have a general dental degree just like your family dentist. In addition to this, they have an extra 2-3 years of specialist dental training, which allows them to provide you with the highest level of care in fields such as Orthodontics, Implant Dentistry, Aesthetic Dentistry, Periodontology, Oral Surgery, and Dentistry for Children. 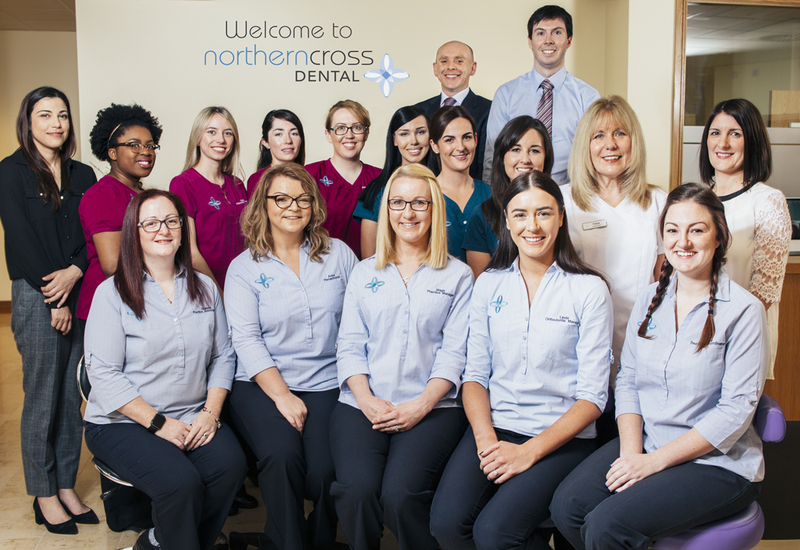 At Northern Cross Dental, we are focused on finding out what you would like to change and improve about your teeth and your smile. Once we have prioritized your needs, we are committed to providing you with the highest levels of customer care using the most advanced techniques in a caring and friendly environment. This will ensure that you will have the teeth and smile you always wanted and at the same time we promise you will enjoy the experience of working with us. At your first visit with us, we will take the time to get to know you and find out what your concerns are and how we can help you. We will carry out a thorough examination of your teeth, gums and smile and following this we will provide you with a personalized treatment plan that suits your needs. Our Dentists, Orthodontists and Oral Surgeons have an additional 2-3 years of specialist dental training. Competitive prices with extremely flexible payment plans and 0% finance. Flexible appointment times with early morning and late evening availability. Our clinic is located minutes from the M1 and M50 and we have ample free parking. We are also convenient for public transport with Dart stations and numerous bus routes nearby.